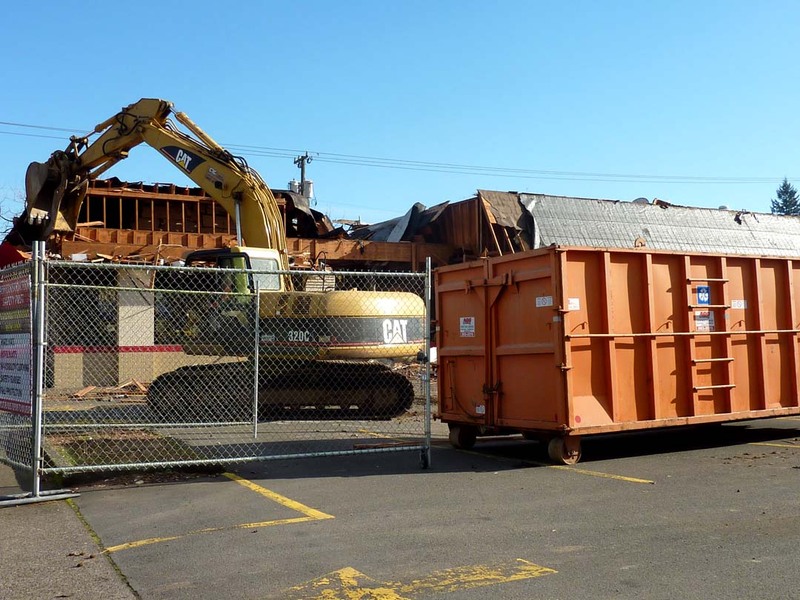 Why Are They Putting All That Wood in the Dumpster? Sometimes you can’t answer your child’s questions. This was one of those questions. Henrik and I watched the demolition of an Arby’s building over the course of a week. The building had been abandoned almost as long as we have lived in the neighborhood. The majority of the demolition really only took 3 days. We stopped by on the way home from preschool on the first day and watched for about 20 minutes. It was amazing how much was taken apart during such a short amount of time. All of the large picture windows were all still intact when we left that afternoon. We talked about how we hoped the windows would be reused. Henrik said, “I hope they give the windows to someone to put in their house so that they can have new windows.” It seemed like a very logical idea. They had pulled out some great stainless steel counters. Regrettably, they pulled them out with the excavator and they were sitting in the parking lot bent and dented. They would have been great upcycled in a loft in the Pearl District. The next day we saw that no effort had been made to reclaim any of the materials from the building. The huge picture windows had been shattered. Why does the environment so regularly lose out to profit? 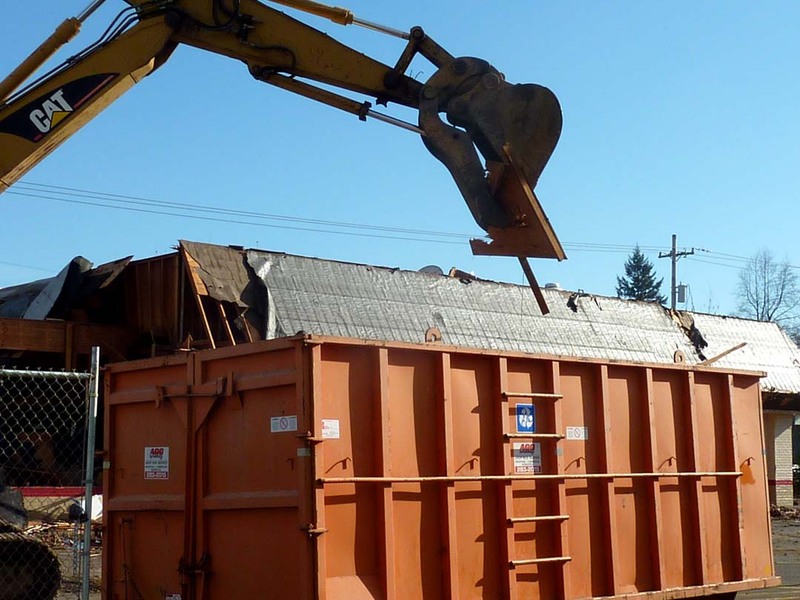 Why is it less expensive to dump an entire building into a landfill instead of reusing the materials? The new 7-11 will be sandwiched in between 2 Plaid Pantrys, one about 10 blocks away and the other less than 2 blocks away. Does it really make sense to fill a landfill with an Arby’s in order to fill a 7-Eleven with garbage? This entry was posted in Environment, Learn, Precautionary Principle, Upcycle. Bookmark the permalink. This entry was posted in Environment, Learn, Precautionary Principle, Uncategorized, Upcycle. Bookmark the permalink.